A lot of healing methods for the chakra are available out there.While some of these modalities work, some won’t. All because each chakra is associated with different frequency realms. Our six bodily chakras are stacked up like a pyramid. The first chakra being the lowest serves as the wide and heavy base of the pyramid and the highest one or the sixth chakra represents the tip of the pyramid. It’s light, airy, and easily mutable while the first chakra is dense, heavy, and more difficult to change. In addition, each chakra symbolizes different elements. Hence, each of these chakras needs different healing modalities. Heal your body by trying out the following methods for each chakra. Because the first chakra is the densest and most related to the physical body, the best healing comes from very physical activities like the Hatha yoga. This chakra is also related to the sensing element and smell oriented treatments, like aromatherapy work best. Since the element of this first chakra is the earth, gemstones are also best for healing treatments. Gardening, especially touching the earth, is a good physical activity associated with the first chakra healing. The second chakra is still dense and physical, thus Hatha yoga still works best here, especially tantrically oriented yoga and hip poses. Since this chakra is related to taste, eating chakra healing foods such as oranges, mangoes, and pumpkins is best. The element of the second chakra is water. Doing aquatic work like Watsu is a healing treatment to this chakra. The third chakra is associated with our conscious, mental reasoning, and self image. The best method in healing this chakra is visual therapy like working with yantras and Transformation Power Questions. Because the element of the third chakra is fire, sun bathing is good. Firewalking is also a good way of stoking your third chakra, only if you’re up for it. Methods that boost confidence also work best. In addition, actual core work, like power yoga or any breathing that strokes the core, are also best for the solar plexus chakra. The fourth chakra, which serves as the bridge between the lower or more physical chakras and the upper or more spiritual chakras, responds well to touch. This has been proven by studies where babies thrive when they’re held by nurses and nannies. Hugging is the best way to boost and balance the heart chakra. Even self hugging works best as well as EFT or Emotional Freedom Technique. Breath work is also a good treatment because the fourth chakra is related to the air element. The best method for the fifth chakra is the sound healing which involves two techniques: putting sound out and taking sound in. You can put sound out by reciting mantras, chanting, seed sounds or even your favorite song that makes you feel good. You can take sound in through crystal bowls, mantras, or your favorite song. Since the sixth chakra is the ground zero for all our dreams and visualization, the best tool to employ here is visualization. This can be done either inwardly or outwardly. Inward visualization involves meditation where you have to close your eyes and create a positive world around you, seeing and feeling what you want. This process changes your entire physiology and causes you to interact more positively and confidently with your external world, fostering a change. External visualization is done by creating amazing vision boards that help you ignite your creative energy and improve your life. 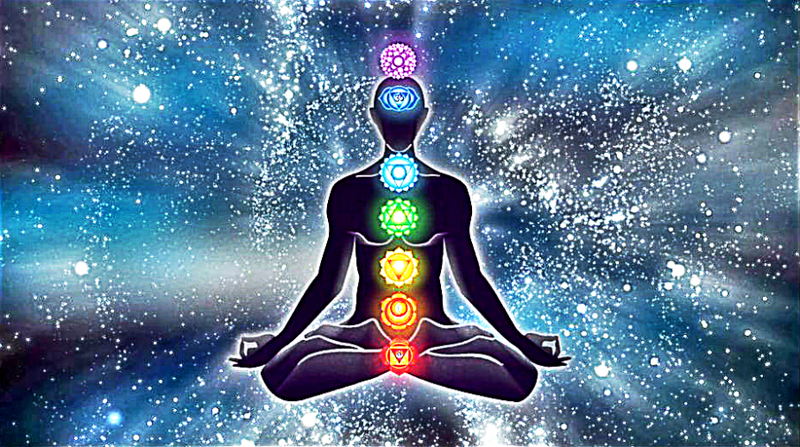 Meditation is the sole healing method for the seventh chakra. It’s entering into a state of pure, silent, and thoughtless openness, being in a space that we all are. While all these chakra healing methods are effective in itself, trying out different modalities is also good in finding out the right modality that fits each of your chakra’s needs. Be aware, though, that you tend to avoid the modality you needed the most. You might be working more on your upper chakras when you need to listen more to your lower chakras. To achieve the balance, do this: Use more meditative type techniques for the upper chakras and do more physically oriented techniques for the lower chakras. Doing this will surely supercharge your healing practice.